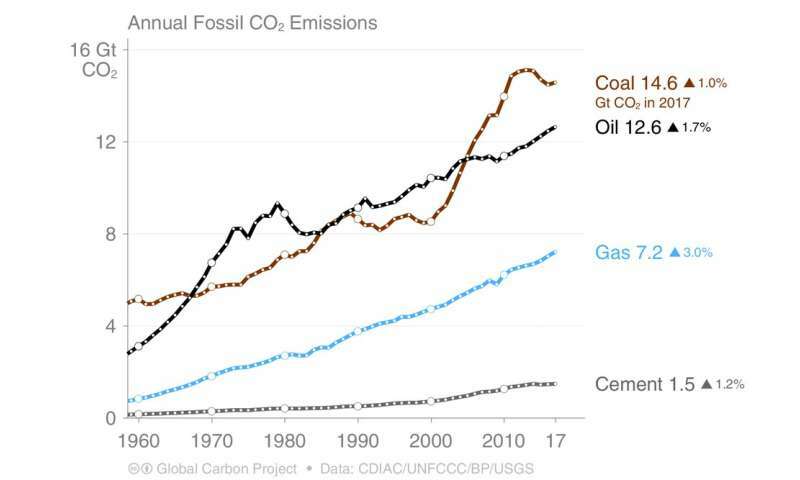 These analyses are part of the new annual assessment of the Global Carbon Project (GCP), published today in three separate papers. The GCP brings together scientists who use climate and industrial data from around the world to develop the most comprehensive picture of the Earth's sources and sinks of greenhouse gases. An unprecedented energy revolution is already underway towards cleaner sources of energy. 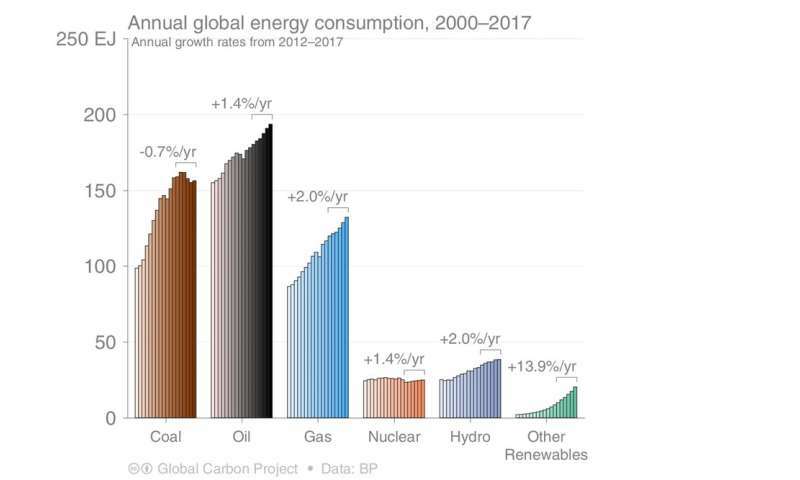 Globally, renewable energy (solar, wind, and biofuels) is growing at an extraordinary rate, with a doubling of the global capacity every four years, albeit starting from a very low base compared with energy generated from fossil fuels.A continuation and acceleration of this trend is consistent with the requirements of the Paris Agreement. 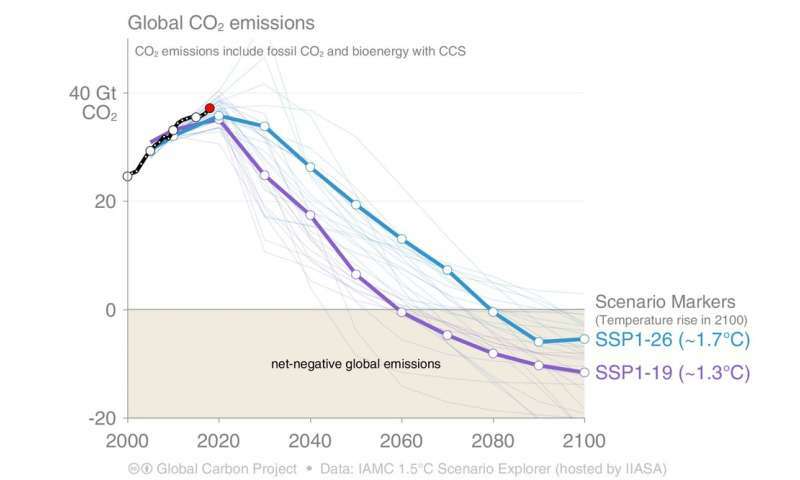 However, the same scenarios also call for the equally rapid decline in emissions from fossil fuels, something we do not see in our latest data presented here. 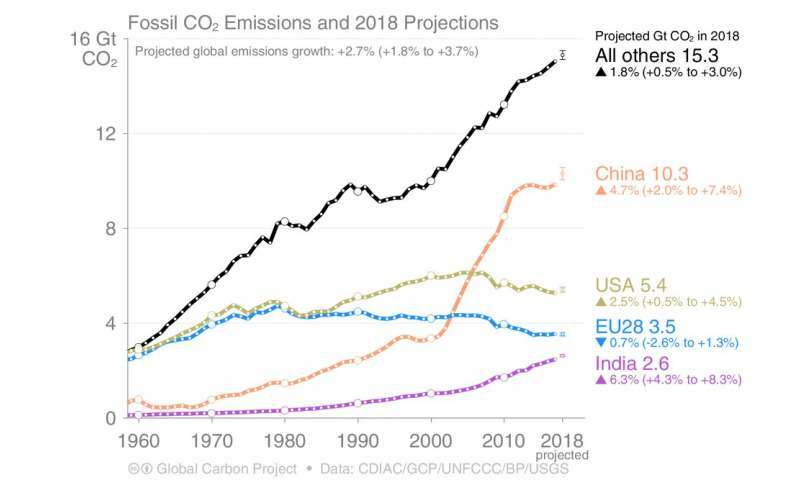 The stronger growth in emissions projected for 2018, which is likely to extend into 2019, is inconsistent with agreed-upon climate targets. 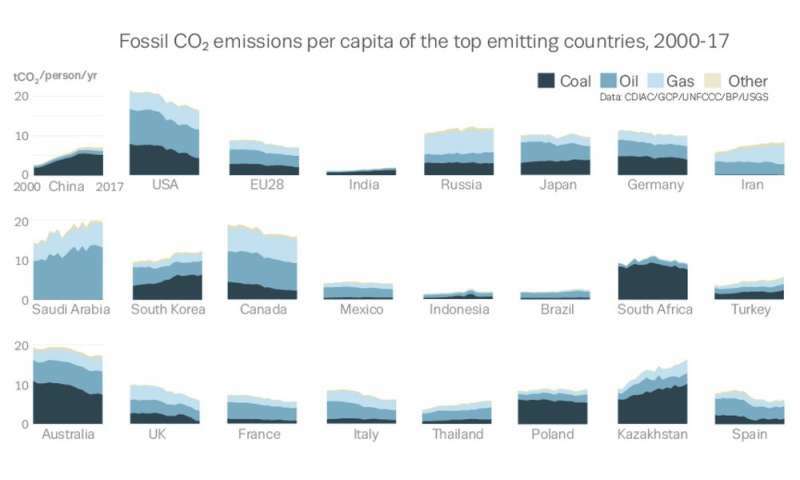 THERE IS NO SUCH THING AS CARBON EMISSIONS. If is nothing but lies straight from the pit of hell. Lies told by DEMON WORSHIPERS AKA Scientists. Carbon emission means all gases and compounds that carry element Carbon in it.